From Drake’s “Trust Issues” to the more recent “Be Careful With Me” by Cardi B, artists have been vocal about their paranoia, going into relationships as celebrities. Tekno’s new single, “On You” gives the emotive narrative his own melodious spin with the catchy Afropop beat S’Bling produces for his heartfelt performance. Though most of his lyrics seem to embellish a love interest, even promising “My Mommy Oh, My Daddy Oh, Soon Them Go Meet You”, his sultry sentiments are rather gloomy as he establishes a grimier counter-narrative to the opulent vision of the celebrity lifestyle. Singing “Shey You Go Dey For Me If I Dey Drink Garri”, he questions the good intentions of his those who seem to care about him and the video Patrick Ellis directs further highlights his paranoia through the luxurious life it depicts for the singer. The video for “On You” opens with the sound of a big car engine as we watch Tekno wearing a sparkling white shirt to match the white walls of his mansion and the Benz parked in the driveway. 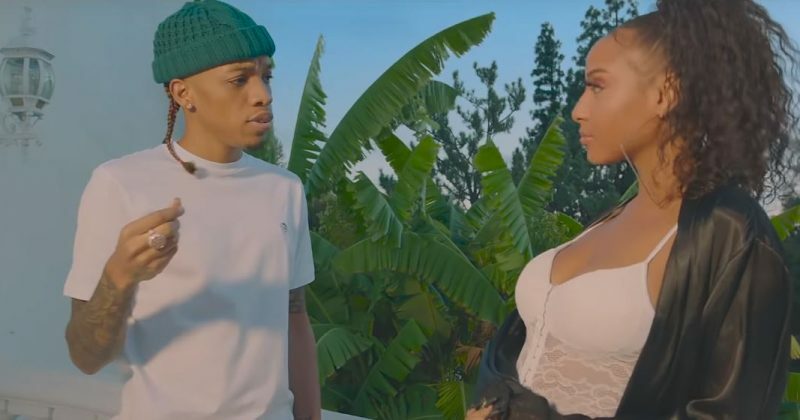 The rest of the video follows Tekno performing his heartfelt lyrics to a model whose attractive enough to add to the dreamy direction of the video. You can watch the music video for “On You” below.